This will permanently inspire you: hansgrohe's shower technology AirPower improves will improve your showering pleasure while reducing your water requirement. That's unless you don’t want to get out of the shower because you’re having too much fun. 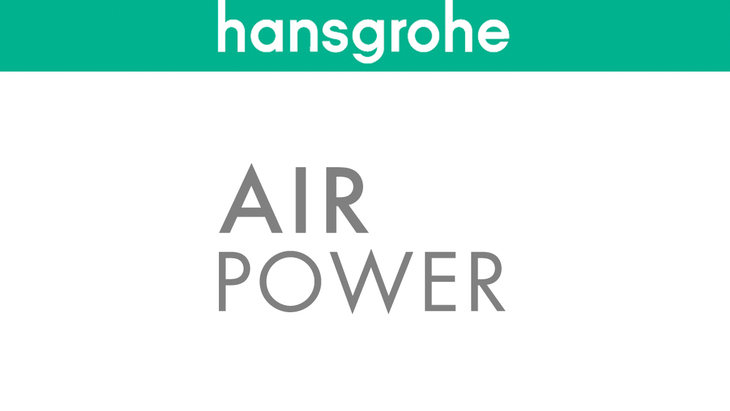 Because air is plentiful, but precious water is not, the hansgrohe innovators have invented something ground-breaking in their own spray laboratory: AirPower. That means: having fun and conserving resources at the same time.